We made it. We made it all the way through Luke, through Lent. We weren’t perfect. We got off to a rocky start, and sometimes we had to play catch up. Some nights the girls were not engaged, barely listening; and some nights even I was phoning it in. But we did it anyway, and the sense of joy on completing this part of the journey was amazing. Not only that, but the gift of the Good Book Club worked in us and through us in powerful ways. In my previous post I shared how, from the beginning, my daughters began making connections between the stories. True to form, Adelaide noticed every mention of angels in the book of Luke (there are 23, in case anyone is counting). Each time she said that was the part of the story that was about her, and proclaimed her pageant line with a joy undimmed by repetition. Isabelle continued to make connections between the stories—remembering and recounting Jonah’s entire saga when we got to Luke 11. She connected the parable of the lost coin (Luke 15) with the story of the widow’s mite (Luke 21). Again and again Isabelle would pick up on a word or phrase and remember another story that mentioned that thing. Each time, by putting those things in conversation, she would help me to see the story anew. But some of my favorite moments were when my daughters began making connections beyond the Biblical story. Sometimes they would connect what we read in the text with something that had happened that week at school. Sometimes they would make connections between other stories that we have read; Harry Potter was mentioned more than once! Perhaps my favorite connection was the night that we read the parable of the Prodigal Son (Luke 15:11-32). As soon as we finished the story, Isabelle said, “I’m trying to picture this story in my mind, like a painting.” I gave Isabelle a chance to imagine the story and describe how it was pictured in her mind. 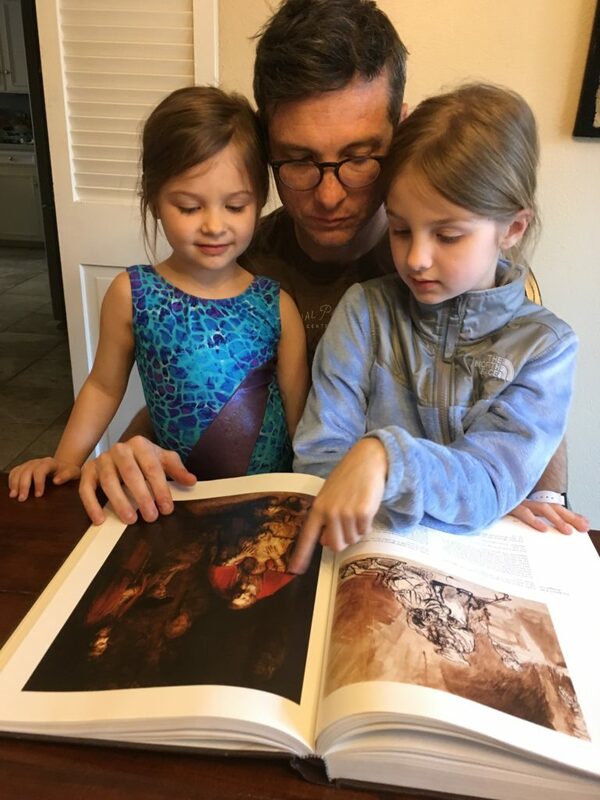 And then, finally, I got to tell my girls the story of how one day, many years ago, my grandmother, Neena, took me to see Rembrandt’s great masterpiece in person. I shared the story of sitting in front of that painting for nearly an hour, and how my grandmother told the tour guide to go on without us, because we needed more time, and what a gift that was. It was only one small instance of the power of the Good Book, and the power that sharing this journey together as a family has had on us all. 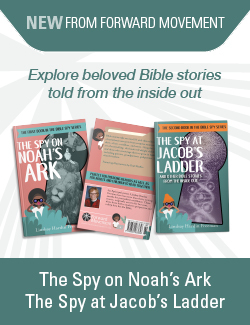 We made connections with the Bible, and between different stories in the Bible. Then we went on to make connections with history and art and literature. And then, we made connections with our own stories, with our family story, and with one another. What a gift that has been. Have you been trying the Good Book Club with young children? How is it going for you?